The use of emojis has drastically changed in a short period of time. Emojis are no longer just for making text messages and social media more fun. They’ve now become a popular marketing tool as well. And, that should be no surprise! 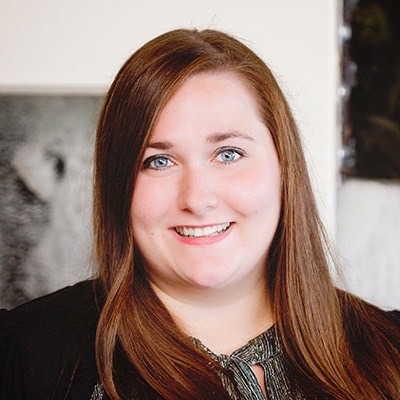 People are constantly finding new ways to express themselves and communicate online, and marketers have to stay in touch with those trends in order to remain effective. According to one study, “92% of the online population use emojis,” spanning all age groups. With statistics like that, marketers can’t ignore the potential that emojis can bring to a digital marketing strategy. If you are on board with the idea of incorporating emojis into your marketing strategy but aren’t sure how, we’ve got you covered. 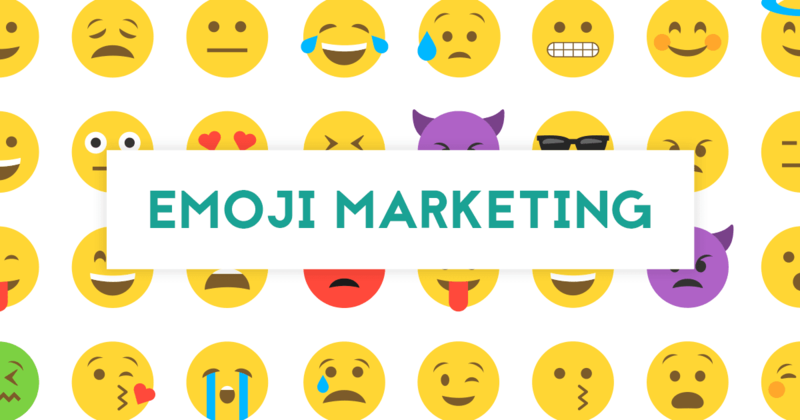 Read on for tips on getting started with emoji marketing, as well as some campaign examples for inspiration. Consider the following tips and best practices for incorporating emojis into your digital marketing strategy. The first step before you engage in any new marketing strategy it to do the necessary research. Consider if emoji marketing makes sense for your brand. Does it align with your company’s image? Is it an appropriate strategy for your target audience? Don’t just jump into emoji marketing because it’s trendy; make sure you can justify the time and effort involved. Once you’ve determined that emojis are the way to go for your marketing strategy, start planning. Decide which mediums you want to include in your campaign. Spend time to determine what emojis you want to use and use them sparingly to avoid going overboard. For example, you might take a subtle approach by choosing a single emoji that relates to your brand and incorporate that into your marketing messages. When deciding what emojis to use and how to implement them into your message, consider the context. For example, it might make more sense to use emojis in a social media or email marketing campaign than it would on a print piece. Think about how your audience will be engaging with your marketing materials to help you develop the appropriate strategy. Furthermore, make sure that emojis match the tone of your message. They are best used for fun or lighthearted campaigns, and run the risk of being detrimental to a campaign with a more serious message. Clarity is important and must be taken into consideration when using emojis. You don’t want your message to get lost or not translate to your audience in the way you intended, so evaluate your use of emojis with that in mind. For example, don’t replace words with emojis, but instead use them to enhance your message. Once you’re up and running with emoji marketing, it’s important to monitor the success of your campaign. One effective way to determine this is to use A/B testing if possible. For example, if you are using emojis in an email marketing campaign, send one version with emojis and one version without to see how your audience responds to the change. There are plenty of brands out there who have delved into the emoji marketing phenomenon to varying degrees of success. 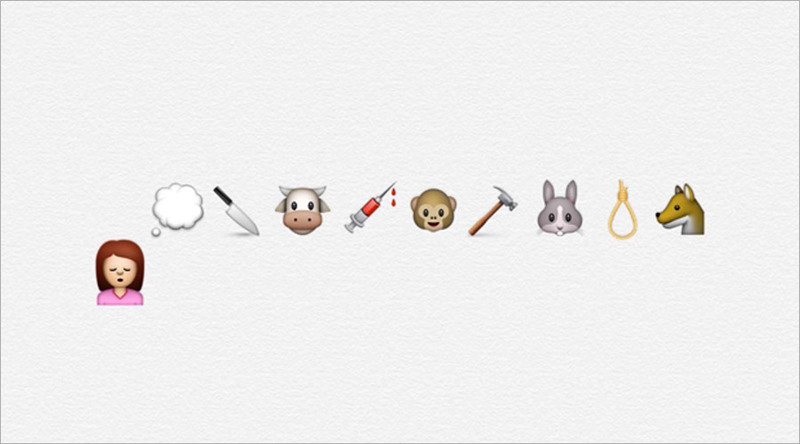 Here are just a few creative examples of emoji-centered campaigns. 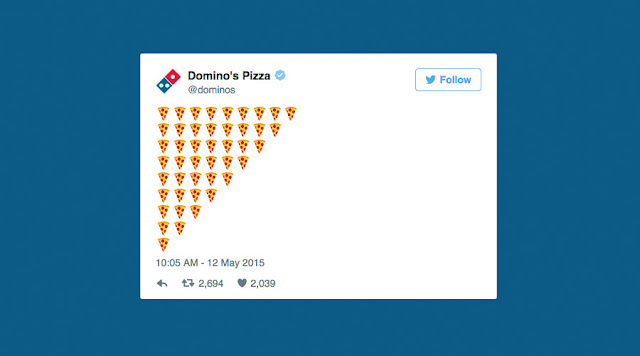 Domino’s pizza saw success with its campaign to allow ordering via emoji. Users could simply text the pizza emoji to start their order. 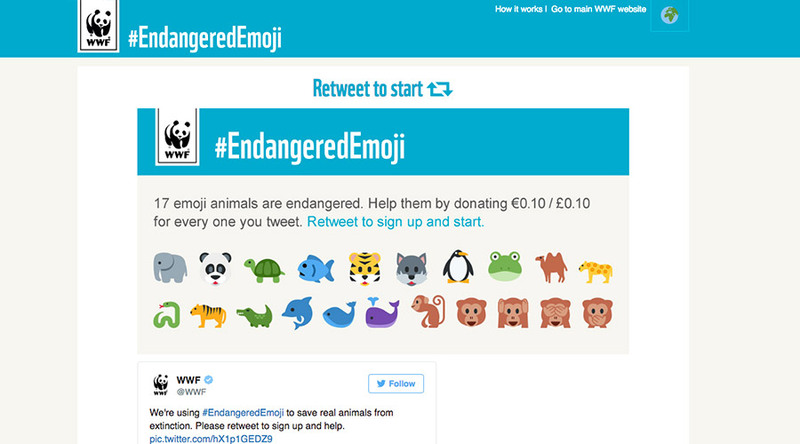 The WWF created a Twitter campaign centered around animal emojis to promote donations for endangered animals. This included a campaign website with emojis as the primary focus at endangeredemoji.com. PETA is known for it’s controversial advertising, and they know how to create buzz. They launched their own emoji marketing campaign, Cruelty Beyond Words, taking the risk to use emojis as a part of its somber message. See the ad here. 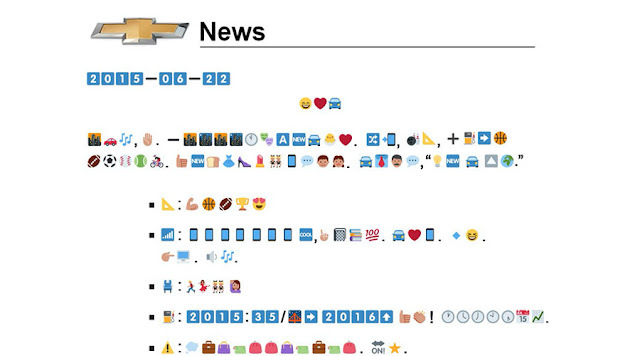 While marketing the Cruze, Chevy went all in with emoji marketing, starting with a press release written entirely in emojis for users to decode. They continued to use emojis throughout the campaign, incorporating them into their commercials and as well. 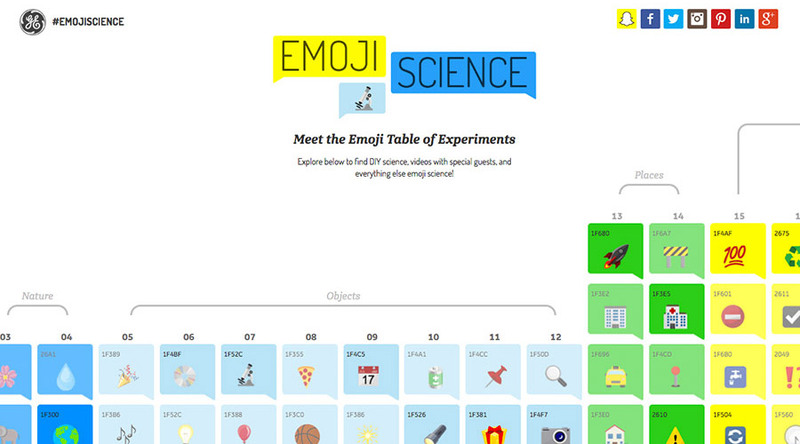 In an attempt to engage a younger crowd in science and technology, GE put together the emoji science campaign. The website uses emojis in a periodic table format to engage users in videos, downloads, and more. Learn more about digital marketing by checking out these related articles.